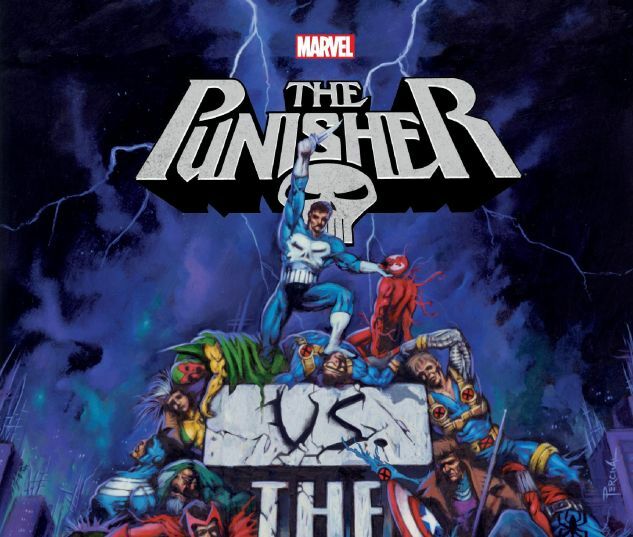 The Punisher quite literally kills the Marvel Universe in a classic tale by Frank Castle's signature writer, Garth Ennis! But don't worry, the MU is back for round two - kind of - in a post-apocalyptic war zone filled with cannibalistic supertypes. Plus, bullets fly in some of Frank's best clashes with the costumes and capes! 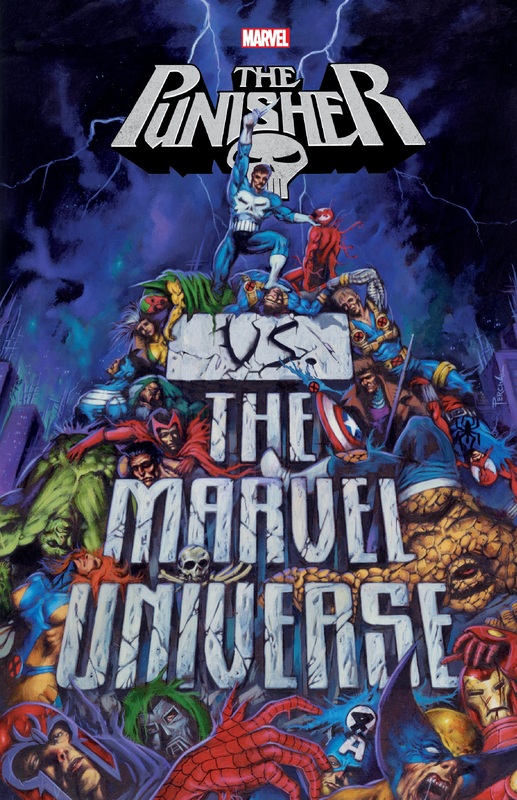 He'll come between old pals Luke Cage and Iron Fist, and gatecrash Spider-Man's volatile first meeting with Nightcrawler - this ain't no Team-Up! 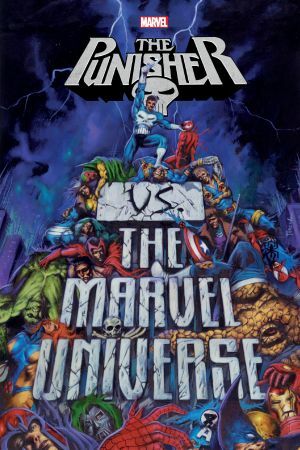 COLLECTING: PUNISHER KILLS THE MARVEL UNIVERSE, AMAZING SPIDER-MAN (1963) #161-162, HEROES FOR HIRE (1997) #9, PUNISHER (2001) #33-37, PUNISHER WAR ZONE (2012) #1-5, MARVEL UNIVERSE VS. PUNISHER #1-4.